In the present study, chloroform, aqueous, (polyethylene glycol/propylene carbonate) PEG/PC extracts were made from coconut, onion, garlic, fig, date tree, chicory, ananas, and cistrose. These extracts were tested in vivo and in vitro on their anthelmintic activity against cestodes (Hymenolepis diminuta, H. microstoma, Taenia taeniaeformis) and trematodes (Fasciola hepatica, Echinostoma caproni). In all in vitro tests, the target parasites died. It turned out that the treatment of mice and rats with a combination of onion and coconut extracts (with PEG/PC) eliminated all cestodes from their final hosts. 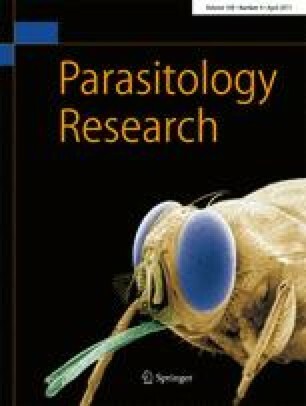 In addition, the same composition was effective against the intestinal fluke E. caproni, but not against the liver fluke F. hepatica in the final host, while both worms were killed in vitro. Inoculation of fluids of coconut eliminated T. taeniaeformis tapeworms from naturally infected cats. This goal was not reached with oil of cistrose. Hereby, we gratefully acknowledge the thorough work of Mrs. Susanne Walter and Tim Mehlhorn, preparing the final versions of the text. Furthermore, we thank cordially the Centre of Excellence (College of Science) of the King Saud University Riyadh, Saudi- Arabia.